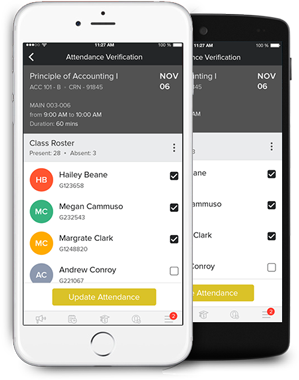 Unifyed Student attendance tracking app enables faculty to mark attendance in the class and send attendance reports to administrators. 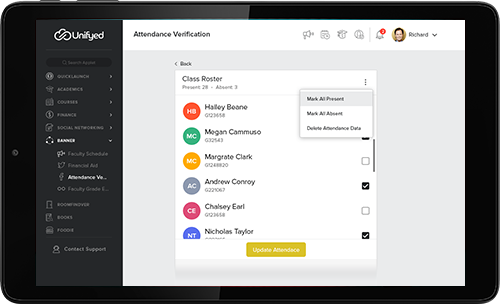 Streamline attendance tracking and automatically send alerts to parents via email, SMS & messaging. 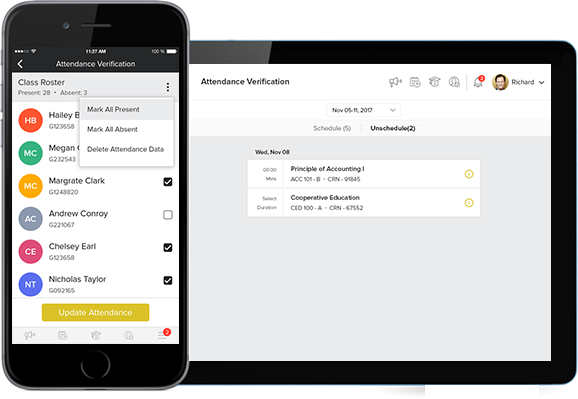 By establishing a perimeter, a virtual fence is created around the attendance functionality through which faculty can mark attendance for students in the range. 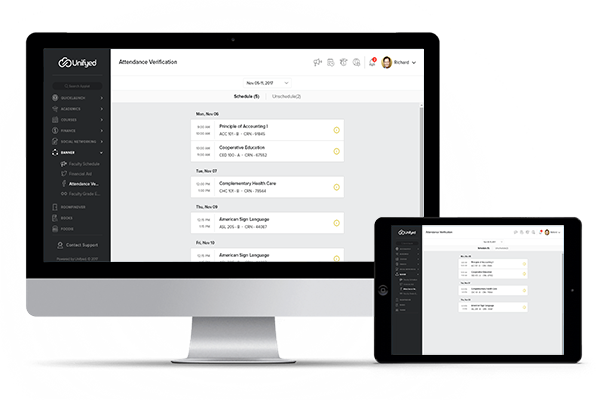 Eliminate paperwork, and save time and money, with cloud-based attendance management app. 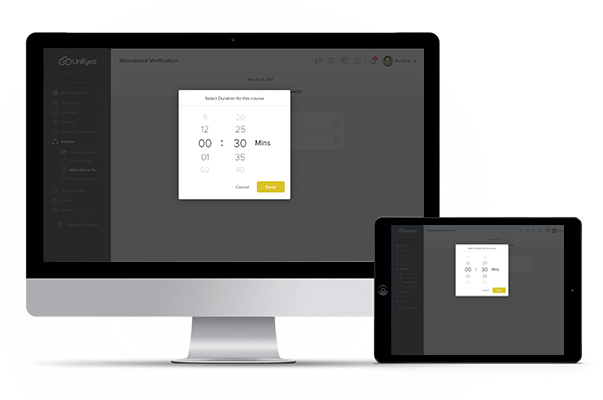 Eliminate duplicate data entry and errors in time and attendance entries. 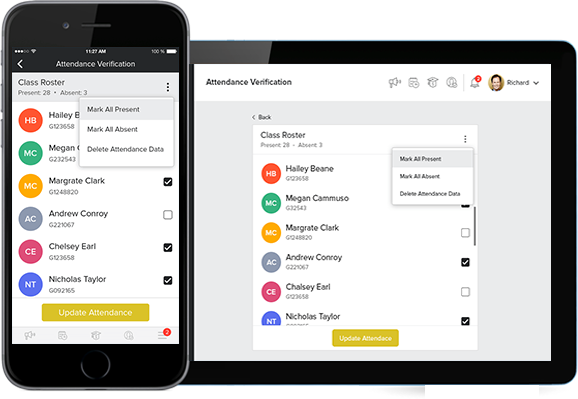 Improve visibility to track and manage student attendance & absenteeism across multiple campuses.